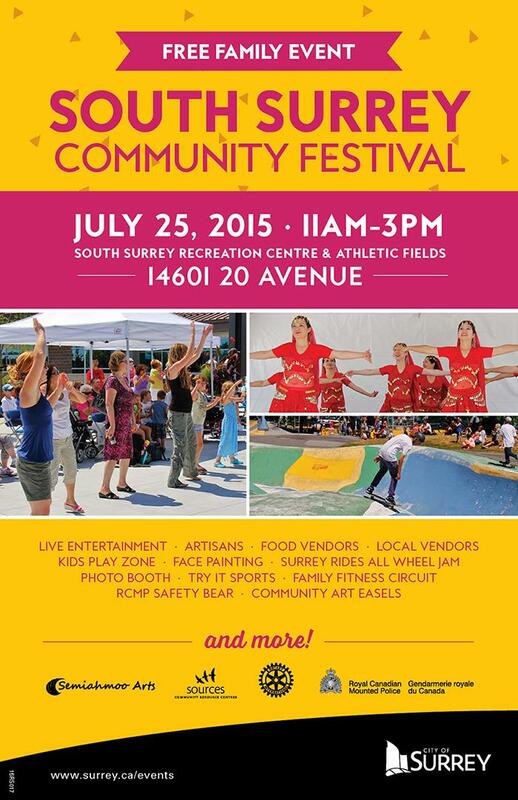 We'll be at the South Surrey Community Festival and we'd love to see you there! Come by the Rotary booth between 11:00-3:00 and say hello. More details about this free family event HERE.